Producers of 9 award winning special events across the Southeast! 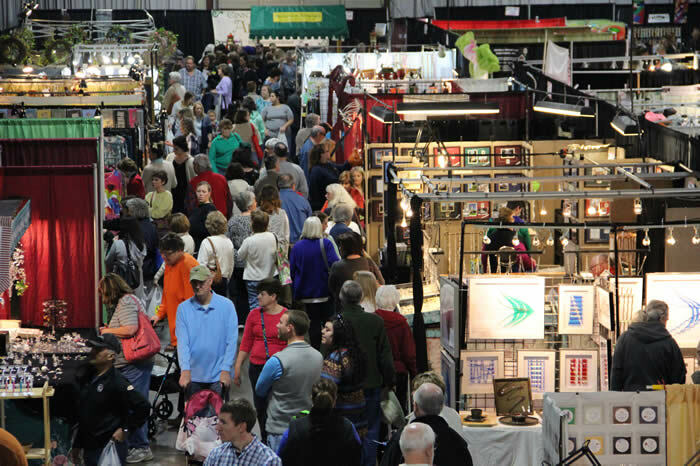 Click Here to view our 2019 Show Schedule! We are so proud to be winners of 216 Sunshine Artist Magazine"200 Best" Awards! Read more. 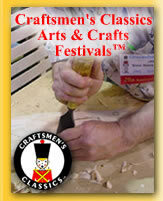 Craftsmen's Classics - Each of our juried arts and crafts shows brings together hundreds of the nation’s finest artists and craftsmen, showcasing their incredible talents and techniques. The Craftsmen’s Classics have won many prestigious awards in the industry, including many Southeastern Tourism Society "Top 20 Events", Art Fair Sourcebook's "Top 100" & "Top 200" fine art and fine craft show awards and 209 “100 Best” awards from Sunshine Artist Magazine. We can help you celebrate each season; Spring, Summer, Fall and Christmas! Holiday Market is our commercial show, and it is truly a fun and unique shopping experience! 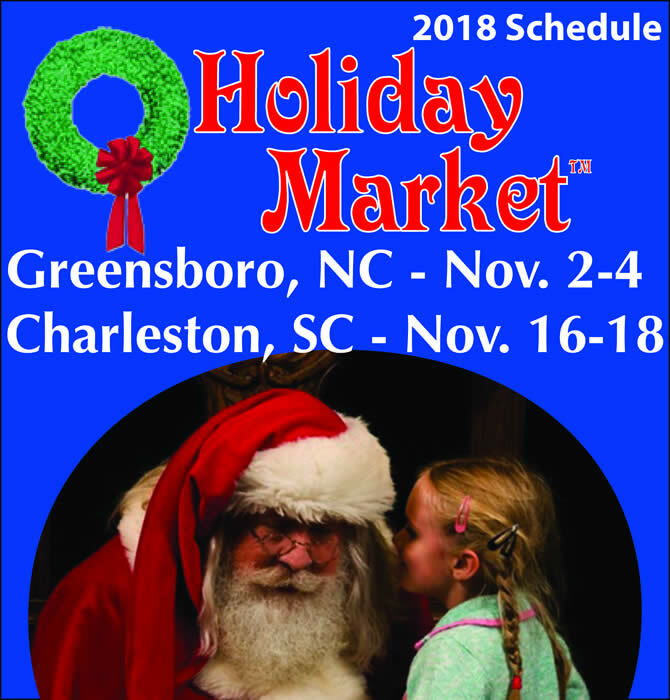 Holiday Market kicks off the holiday season in the Greensboro, NC Triad area the first Friday in November and in North Charleston, SC later in the month, offering specialty shops and apparel, gourmet foods, music, gifts, art, home decor, entertainment – and of course, Santa! Enjoy all the magic, sparkle and spirit of the season as you find your holiday wishes, dreams and gifts under one roof. Visit our Craftsmen's Classics™ Art and Craft Festivals and Holiday Market™ pages for more information on our spectacular events.